Let’s make the best use of your Pay Per Click/Google Adwords campaign. Undoubtedly if it is getting you great ROI (Return on Investment), you are doing something wrong. And, with ROI here, I mean ten times as much as your investment. Yes, you heard it right! PPC can, and if you do it right, PPC will get you this kind of ROI. It is hard to master, harder to implement. But, many people are earning great revenues through the same. Why aren’t you, is the question we are here to answer! Without a second thought, I am saying, nothing can bring you more business, leads, traffic, and credibility than content marketing, and SEO. Therefore, I regularly write and post about both. However, these two are for “long term basis”, i.e. it takes time to get results with Content Marketing and SEO. So, what is there to increase your traffic and business right away, right now? Pay Per Click is the answer. In our previous article, I have given a detailed description on How to multiply your ROI with PPC? If you haven’t read it yet, I would recommend you to do that prior to taking a look on this one. Making the best use of PPC, i.e. to not get your money wasted prematurely in a campaign. You should learn about basic metrics and usage of the Pay Per Click Marketing. Your impression share, Ad rank, clicks through rate, max bid, and quality score is what we are trying to optimize to get the best benefits. 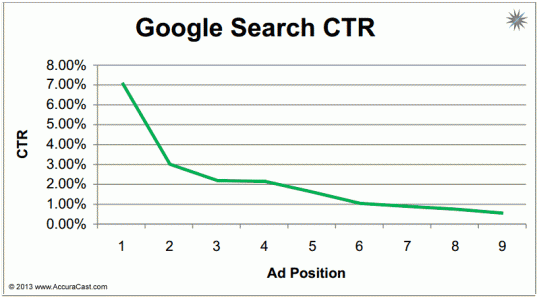 See for yourself, how Click Through Rate decreases with your Ad Rank increasing. Plus, not many people go to the second search page result. So, if you are not on the first page, you are buried on some anonymous one. Frankly no one bothers to get there! 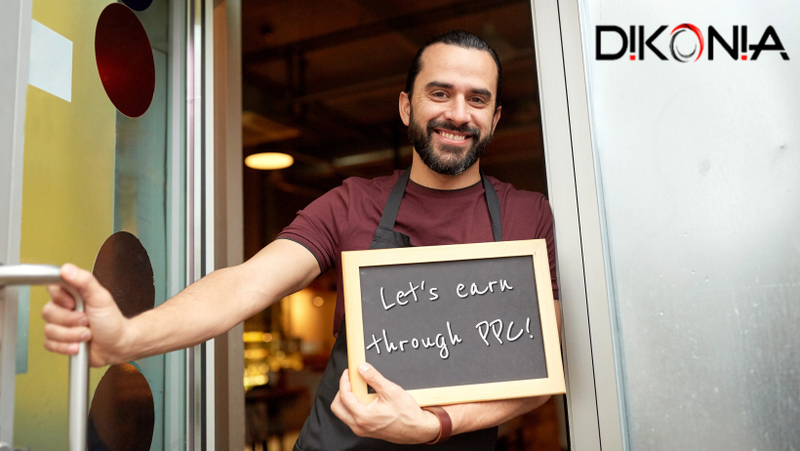 Let’s explore more about PPC. 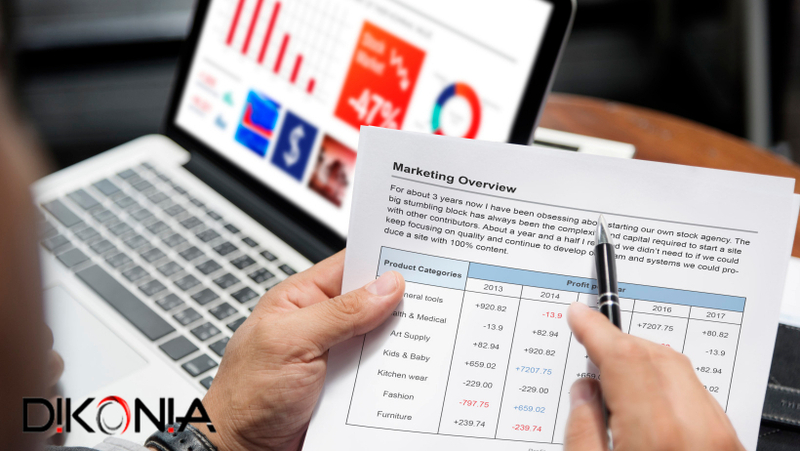 If you are starting a PPC campaign, these three aspects will help you make one which won’t be unsuccessful. According to PPC hero, in the research of state of PPC 2016-1017 claimed that 86% of marketers using PPC claimed that text advertising was effective in their businesses. First of all, while developing a PPC campaign, you should be doing an in-depth keyword analysis. If you haven’t targeted the right keywords, you will not be able to reach the quality audience. PPC is expensive, and this aspect is the driving factor of your clicks and conversions. More than not, people fail in making use of the keyword types, or don’t use types at all! 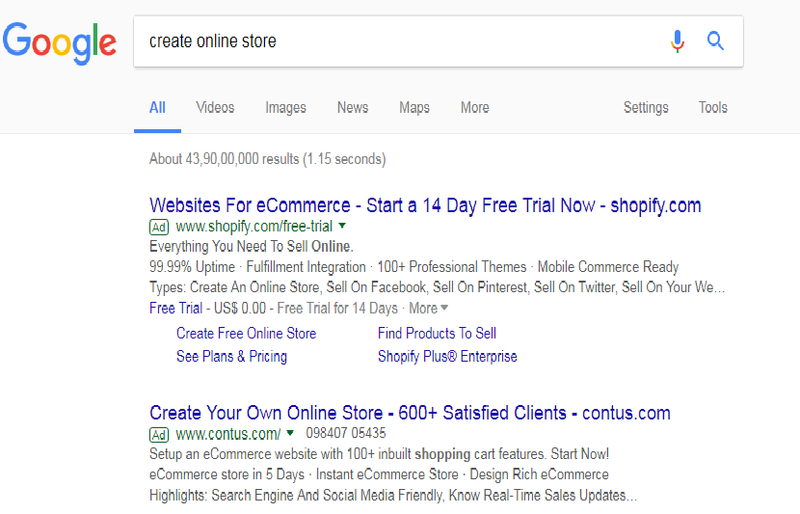 Where you tell Google on which keywords it should show your advertisement. For example, if you own a shoe company and you wish to be shown for black shoes. With this Google will only show you if a person searches for these, no change in sequence here is possible. In this, you should be very specific about what keywords you chose. In the example I gave, there is a lot of ambiguity and it will show you up to people who are not even looking forward to making a purchase. 51% of searches are longer than 4 words. Here, the only criteria are that words should be together, and your Ad will be displayed in relevant context. Again, we will take the same example, “Black shoes” so now all the searches where you will reach your audience will include; Buy black Shoes, Black Shoe designs, Baba Black shoe nursery rhyme, et al. If we were doing your PPC, we wouldn’t prefer this category at all. Filled with ambiguity, huge irrelevant traffic, and costs a lot. See, it is not about how many clicks you attain. The goal here is ‘conversion’. Anyways, you can write it anyway, taking the same example for this as well. Broad search keywords will show you for all the searches that include, black and shoes, be it Black shoe elimination game, black songs, shoes in trend, and what not. Stemming is done automatically by Google, in terms of singular plural nouns, the tenses, and so on. For instance, if you have already targeted the keyword ‘Website design’, don’t go for ‘Website designing’. P.S. Don’t miss on using negative keywords as well. As you need to reach the audience with high buying intent. 65% of high intent searches result in an ad Click. To bolster your conversion rate and optimize your investment, you should be constantly updating your bids on each keyword. – What keywords are generating clicks, but no conversion? – What keywords get the most quality audience, the one that converts? 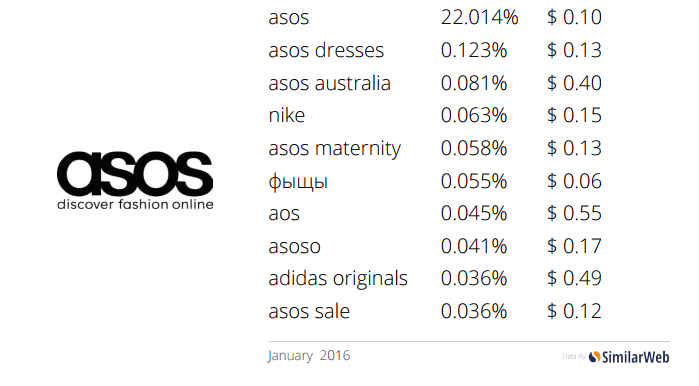 – What keywords are not worth investing at all? There are many more questions, you need to ask yourself. These ones were in relevance to keyword usage only. Going forward, grouping your keywords is one hell of a task. Obviously, there is much more than only analyzing and bidding on relevant keywords. There are campaigns, and here forth I am expecting you have already read my previous PPC blog, and you know what I mean. For different demographics and varying audience, we build campaigns. And, under each campaign, there are similar keywords that are targeted. How would you know if your Ad is even relevant or not? In this part, I will provide you with an insight of how to come up with the best advertisement for your business. For obvious reasons, keywords which target higher purchase intending audience will be very expensive. No, it won’t cost you a hand and a leg. But, pretty much the same, if you are a small business. 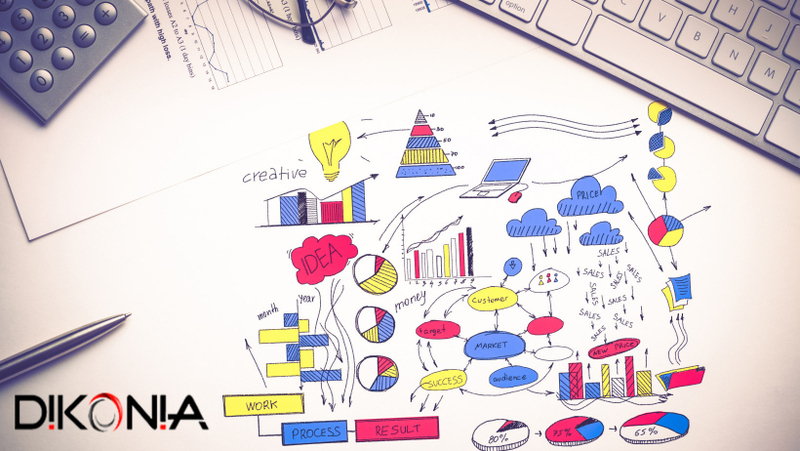 So, you need to intelligently put forth your bid and make sure your quality score is worth it. – What benefit are you providing? – Is it fulfilling the user’s search purpose? – Why should the searcher consider you? 75% of searchers don’t click-pass the first page, and to be there, you should optimize both your bid and quality score. You know what the key to unlocking the door of success here is: To be creative. Know which web leads are best for your goal in PPC marketing, and hit the surface. Now the next point will be specifically intended to make sure your traffic converts. Once you have surpassed the previous dilemmas in researching and making a perfect Ad copy, it’s time to see how the traffic generated will convert. The most common mistake which I have noticed in most Ad campaigns is the absence of a landing page. – Do you have what I want? – Can I trust you? – What do I do now? Let the visitor know in the first glance, about you and your company. This is like introducing yourself, which is cardinal for your branding, and no one trusts the anonymous anyway. What you mentioned in your Ad copy should be clearly visible on your landing page as well. You will instantly lose credibility if you don’t! Your landing page must contain the scent that drove the searcher to your website. If a person is searching for Samsung Galaxy J7 Max and you have directed him to the page with all your Samsung cell phone range, you lost the game! Get him to the specific page, which only has the product he is looking for. Last but not the least, your call to action button must be clear and loud. Don’t make the visitor scroll down for any of these! Keep all these aspects above the fold. Now, if you lose your visitors who came through PPC, just to give you a closure; it’s not them, it’s you at fault! In our experience with PPC campaigns, they hold the potency to generate astonishing gains, but the point is, Are you doing it right? Watch this space, and Subscribe for more such articles to help your business grow exponentially.